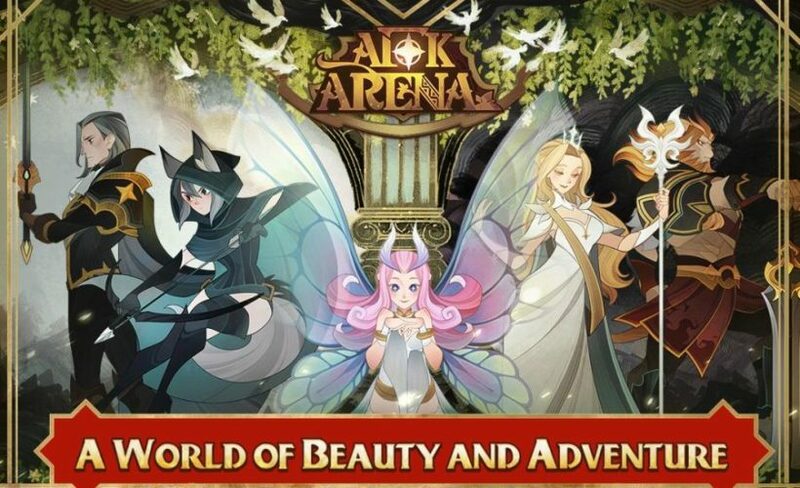 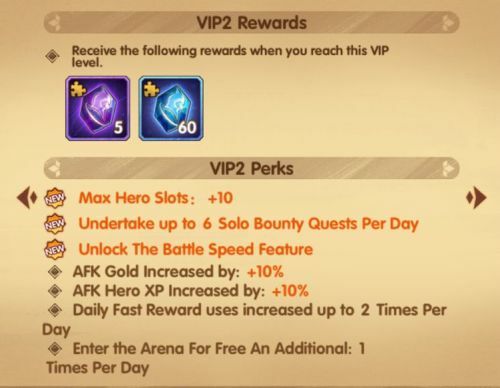 In AFK Arena, you can become a VIP player by completing quests and purchasing all sorts of things from the store. 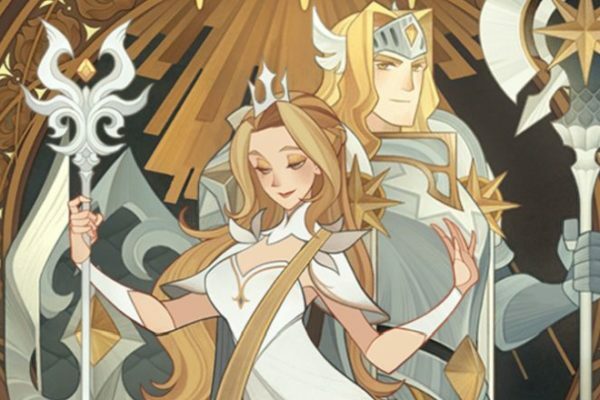 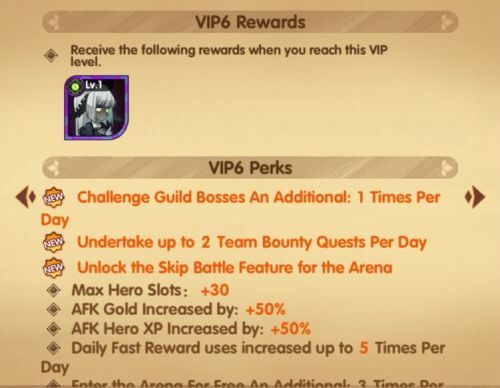 In today’s article, we’re going to talk about the AFK Arena VIP ranks in our guide, as well as share with you a complete list of rewards and perks you receive for each level, as well as how to increase it. 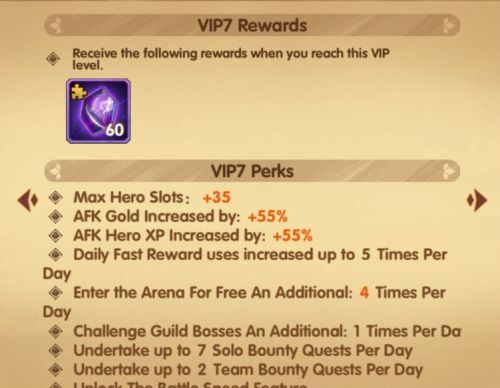 The VIP level is not heavily promoted (yet) in AFK Arena and many people don’t even know about it. 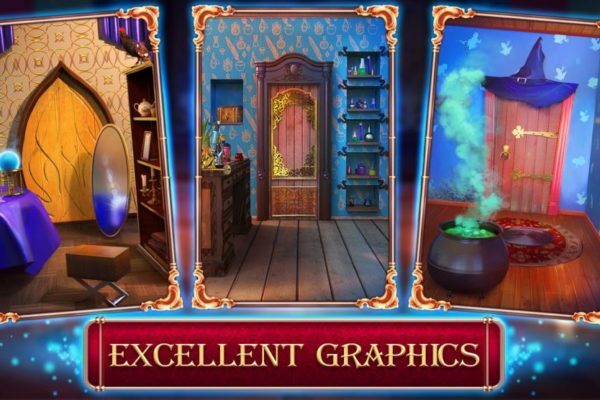 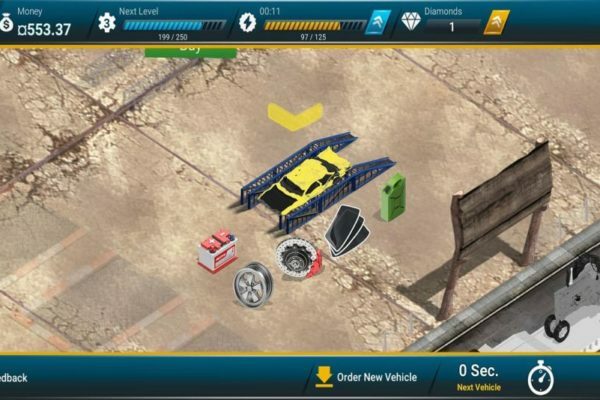 In order to check it out, simply tap the + button in the upper right corner of the screen, next to your diamonds count. 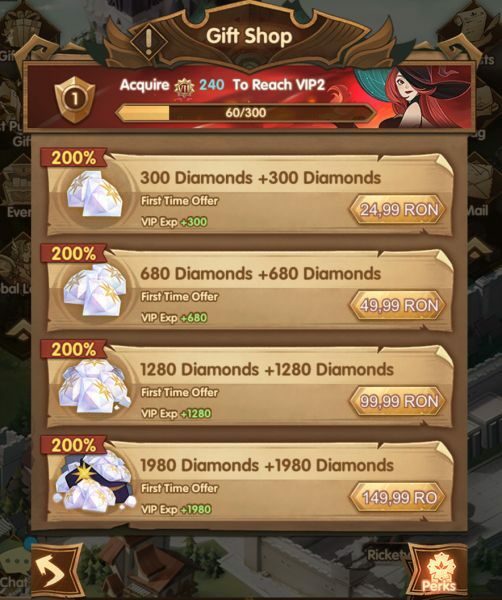 That will actually get you to the in-game store where you can buy diamonds. 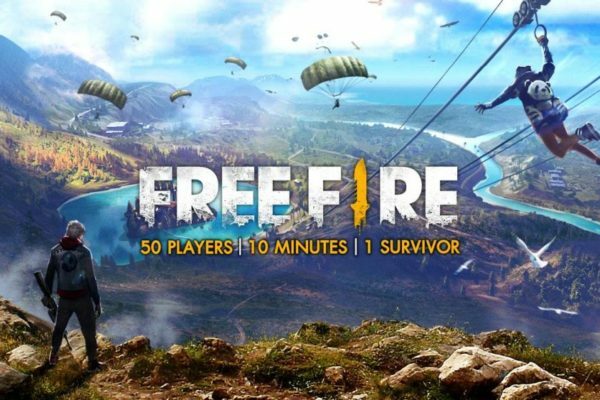 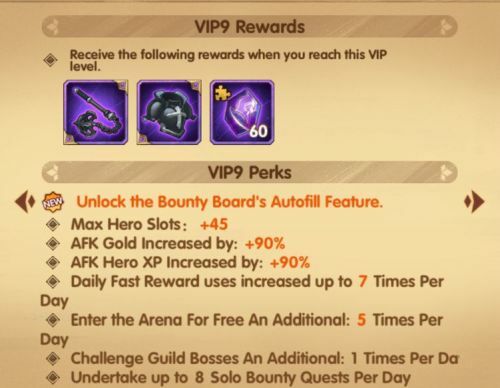 However, if you look at the bottom right of that menu, you will see a “Perks” button. 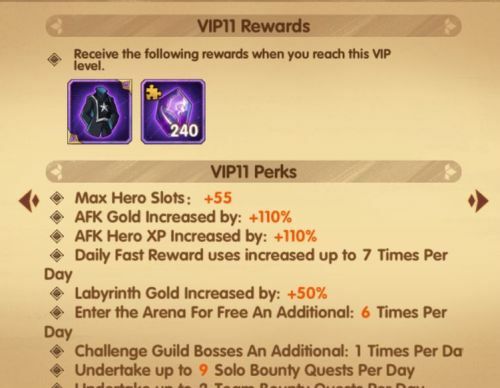 If you tap it, that’s where you can see your current VIP level, as well as the rewards you are getting. 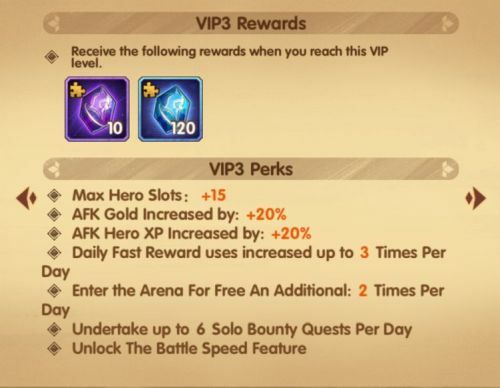 How to increase your VIP level in AFK Arena? 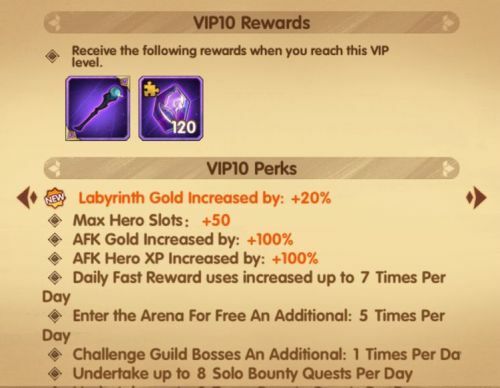 In order to increase your level, all you have to do is complete quests in the game. 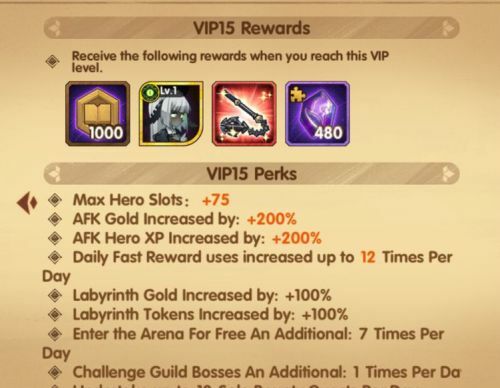 This will give you some VIP points in the long run, but your VIP level will increase slowly this way. 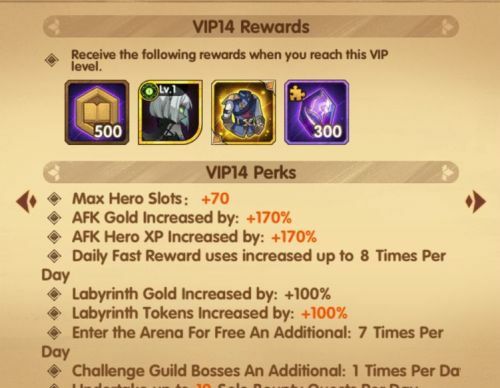 So the more you buy, the more points you get and the better the VIP rewards and perks are. 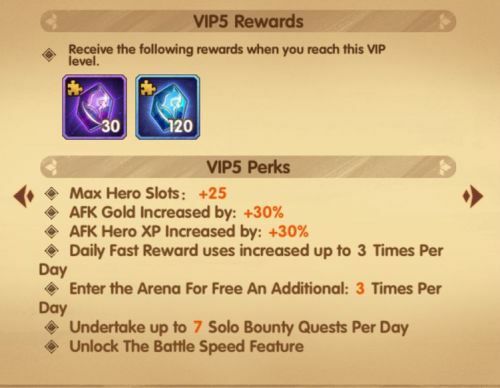 Although you need a lot of money spent in the game in order to max out your VIP level, there are some nice rewards coming from increasing it. 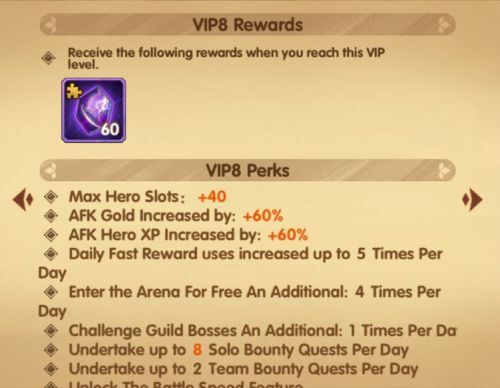 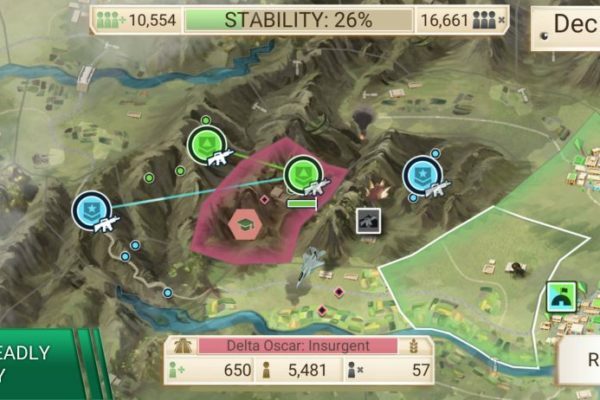 The VIP level 6 is the most impressive early on, but in the end, the higher your level, the better bonuses you get. 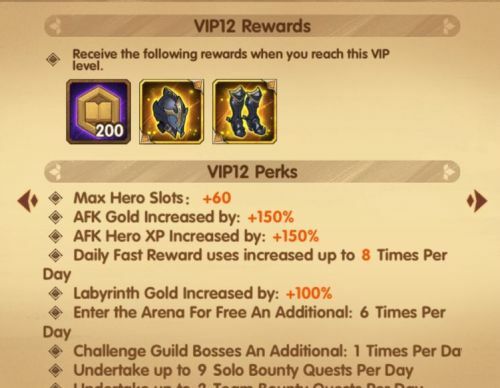 So start working on increasing it right away!